cast a glance at this “City of Dreams” – as it is for many Indians – and wanted to see more of it this time. Mumbai, formerly Bombay, is big, it is India’s largest city. It lies on the west coast of the Indian peninsula and this at about the right point to draw a line between the south and the north. 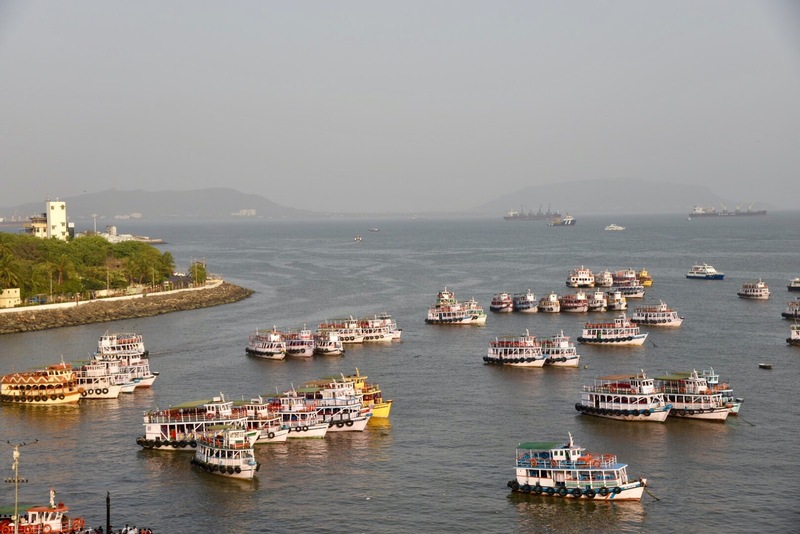 Mumbai has a deep natural harbor that facilitated its growth and its importance. It is the commercial and entertainment capital of India. The largest population of billionaires and millionaires for any Indian city live here, it is even ranked No. 9 in the world in billionaire population (Wealth-X). This city’s business opportunities and its potential to offer a higher standard of living attracts migrants from all over India, thus it is also called the “City of Dreams”. This megacity is also amongst the most polluted cities, although coming after Deli, but not by much. This shouldn’t hinder you to visit this cool, energizing place with its many attractions. As in Delhi, we had only one full day to explore Mumbai and so we decided to proceed just as in India’s capital, meaning by private tour by car. In Delhi, we could have used the Metro to get around the city instead, but in Mumbai there is no such subway system. When choosing the car as transportation means be aware that this city is on the edge of a total gridlock at many times. As a consequence, allow enough time for your activities. The heart of the city is home to some of the grandest colonial-era architecture on this planet. The architecture of Mumbai blends Gothic, Victorian, Art Deco, Mughal-Gothic and more contemporary architectural styles. 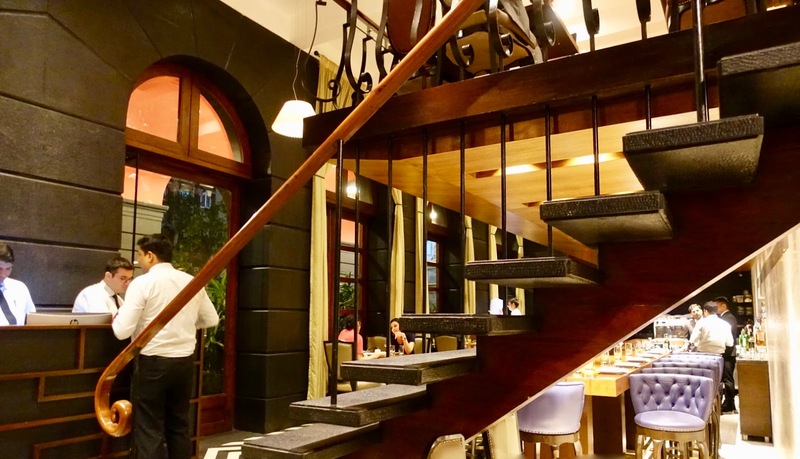 A good thing to do is just walking around in neighborhoods just as Colaba (Gateway of India/Taj Mahal Palace), Fort (CST railway station) or Malabar Hill (Hanging Gardens) to gaze at the numerous historic buildings. A good starting point to your city exploration is the Gateway of India. We were lucky enough to view it from our hotel room at the Taj Mahal Palace. 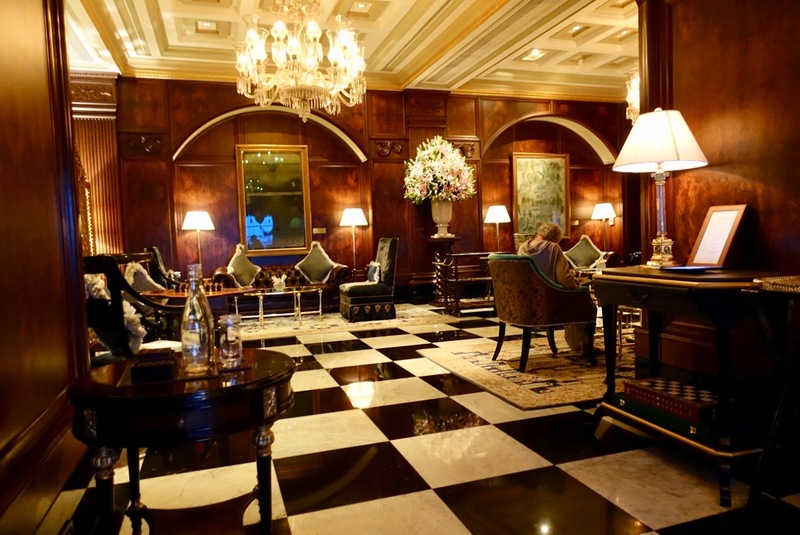 Speaking of which, the hotel ranks as must-visit attraction as well. You will find more information about it in the next section. Back to the former monument, it was constructed to commemorate the visit of the British King and Queen in 1911. It is also the spot from where British soldiers last departed India after centuries of ruling the country. Its design is inspired from Indo-Islamic, Indian and Roman architectures. 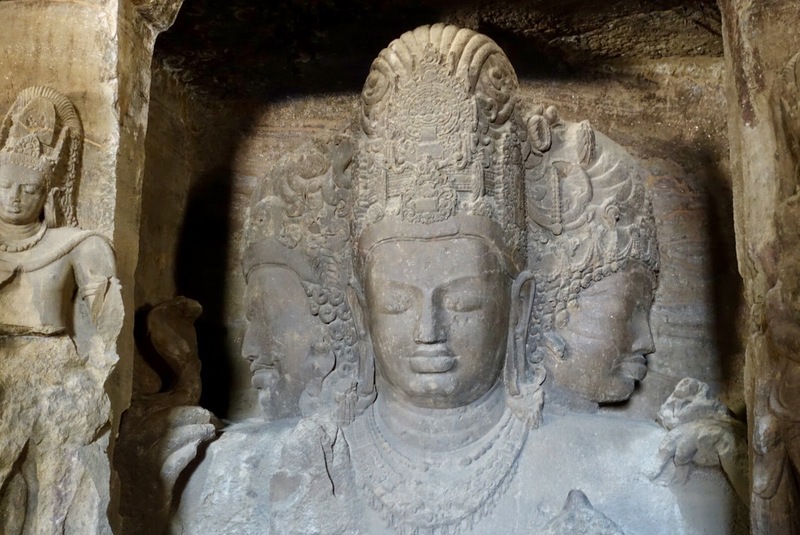 Being here, this is your chance of a little break from city chaos by going to Elephanta Caves. A boat trip departing from Gateway of India brings you to these Hindu and Buddhist caves from the 5thcentury, located about an hour’s ferry ride into the Mumbai Harbor. 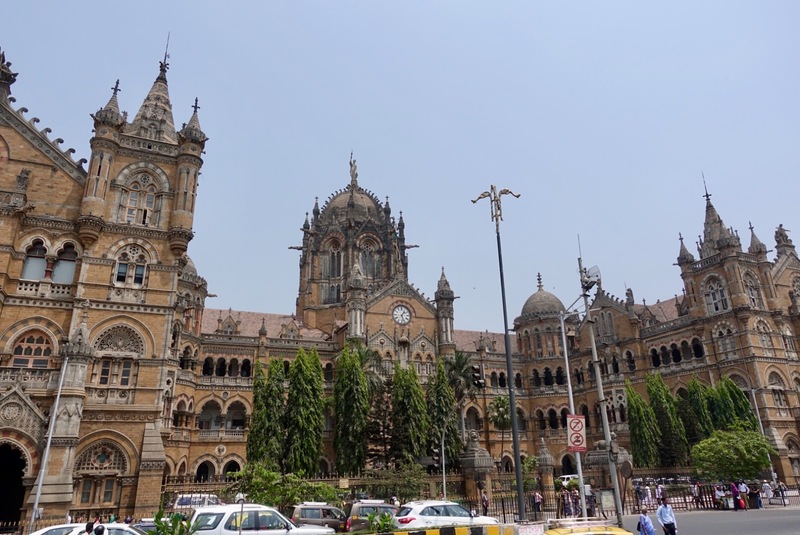 Back in town, head to the historic railway station, Chhatrapati Shivaji Terminus (CST), an outstanding example of High Victorian Gothic and Indian architectural styles. There is a platform opposite the building where you can view it. 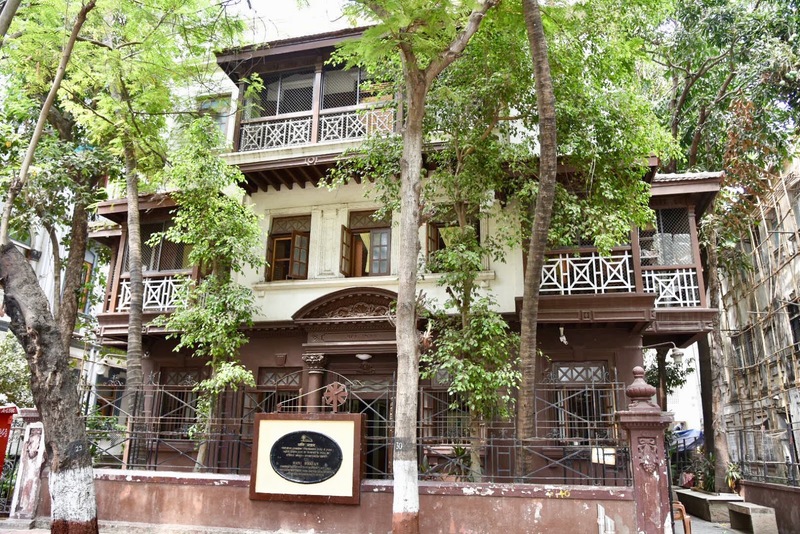 Next stop is the house where the Indian activist Mahatma Ghandi, leader of the Indian independence movement against the British rule had his headquarter for 17 years, the Mani Bhavan Ghandi Museum. It is a lovely building located in a quiet neighborhood. 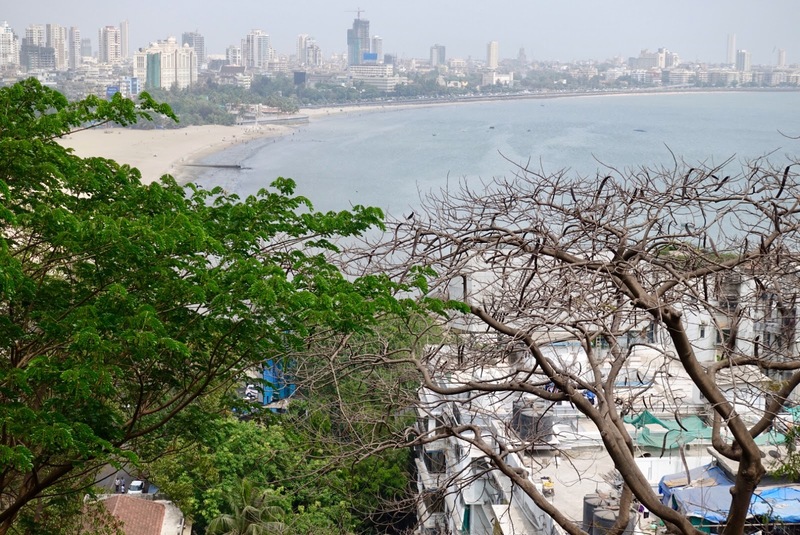 The tour continues along the Marine Drive, South Mumbai’s iconic sea-facing promenade, to Malabar Hill, a quiet, upscale neighborhood where historic buildings are plentiful. A good stop here is the Hanging Gardens, built on top of a reservoir, with lovely views of Mumbai (Marine Drive & beach). 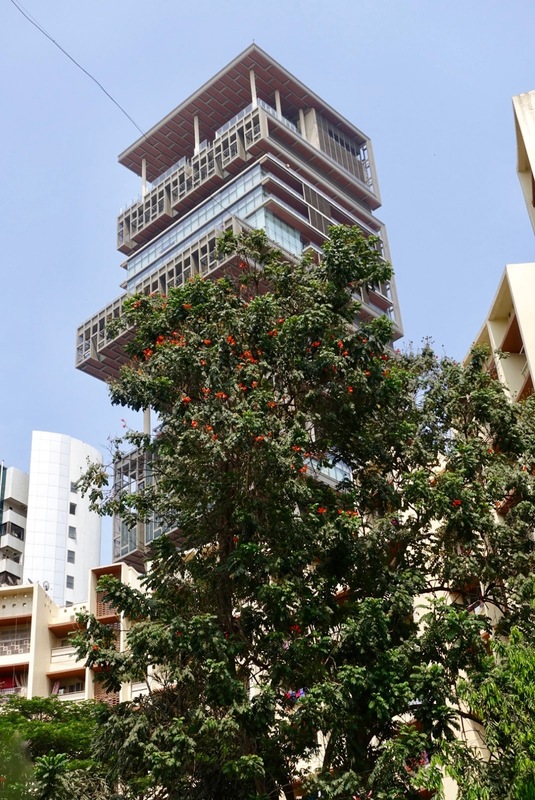 As the drives goes on to the last sight, Dhobi Ghat, watch out for the Antilla building.It is deemed to be the world’s most expensive private residential property, valued over 1 billion Dollars, used by a single family and owned by an Indian business magnate. 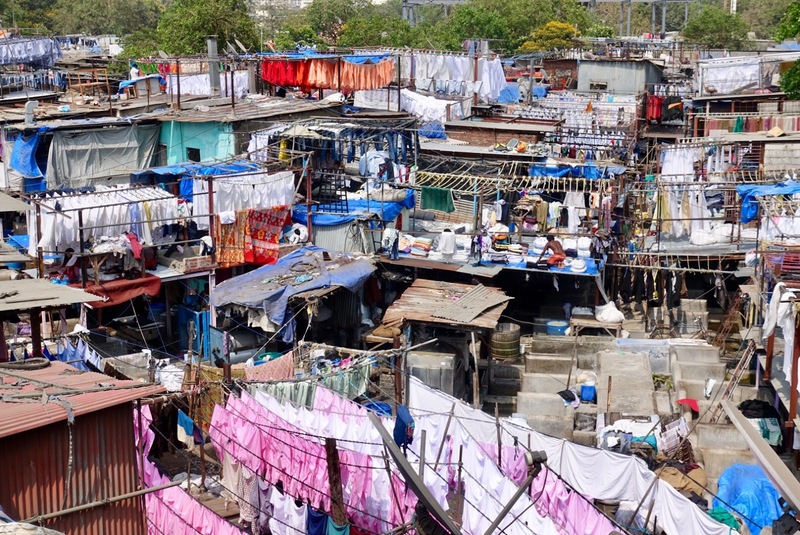 Dhobi Ghat is a well-known open-air laundromat, which was built under British rule. The washers (dhobis) work in the open to clean clothes and linen and the whole scenery makes a good picture. 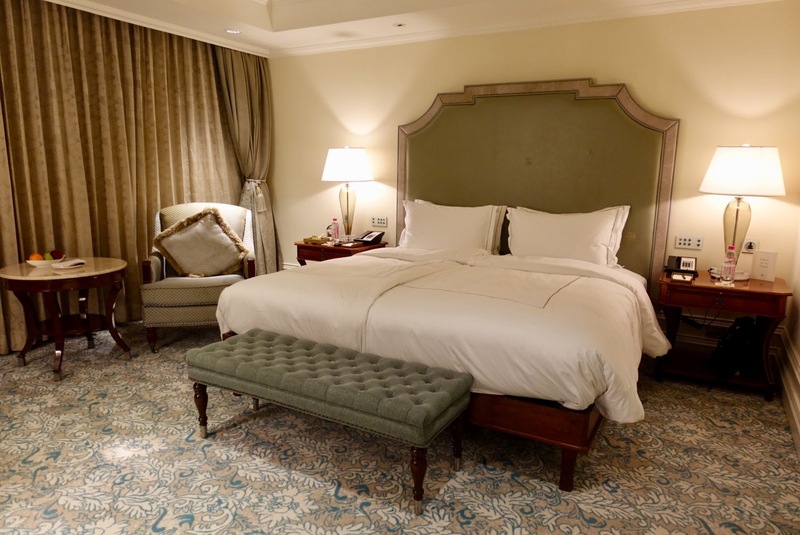 Just as in Delhi where were we stayed at The Oberoi we chose for our visit to Mumbai one of India’s oldest grand hotels, the Taj Mahal Palace. 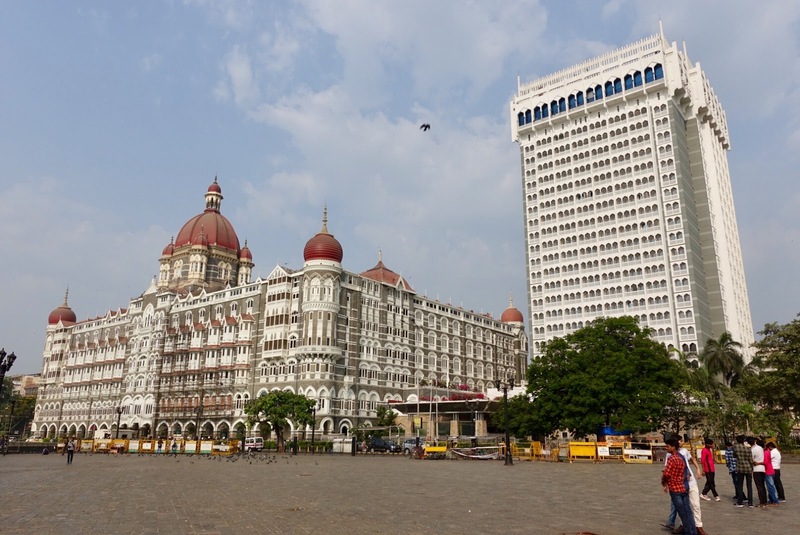 As already mentioned, it is not only a hotel amongst many others but Mumbai’s most famous landmark. 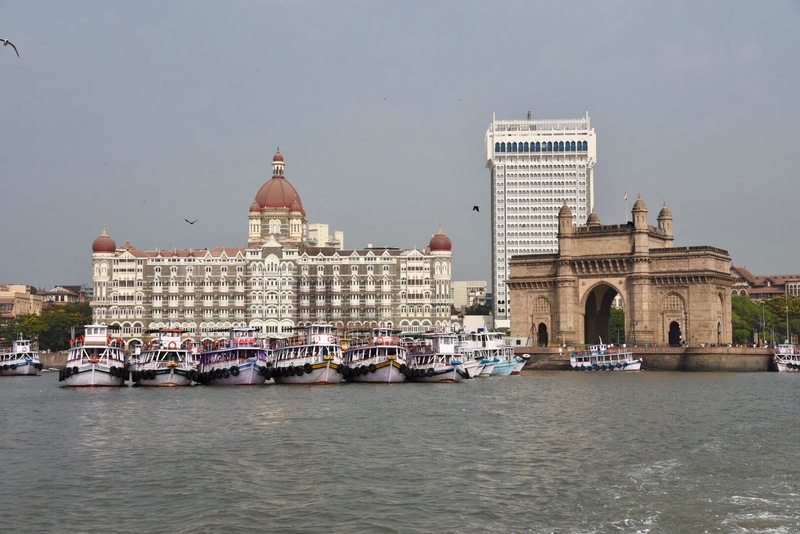 This iconic Arabian Sea-facing hotel, inspired from architecture styles from around the world – marrying Gothic, Greco-Romans, Islamic & Rajasthan elements -, was built in 1903 and was the clear marker of the Bombay harbor until the construction of the Gateway of India 20 years later. Since then this fairy-tale hotel has undergone a 100 million Dollar refurbishment. The original building has seven floors, in the 1970s a 22-floor tower annex was added offering more modest accommodation & services. 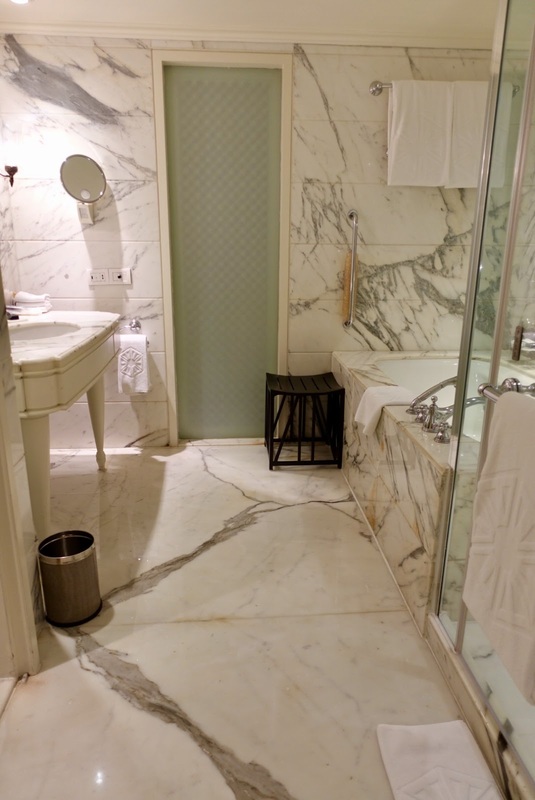 as well as a spacious Italian marble bathroom. In addition, we had access to the club offering complimentary afternoon tea, pre-dinner drinks and canapes as well as after-dinner cognac and chocolate service. or the one where the rooms are located. Housekeeping service was fantastic. Whenever we went to our room, staff chatted with us and even prepared a foot bath with exfoliating effect for us when we returned to our room after dinner on our last day. Speaking of dining, there are half a dozen restaurants to choose from. Souk on the tower rooftop offering a range of Eastern Mediterranean dishes was our choice for the first evening. 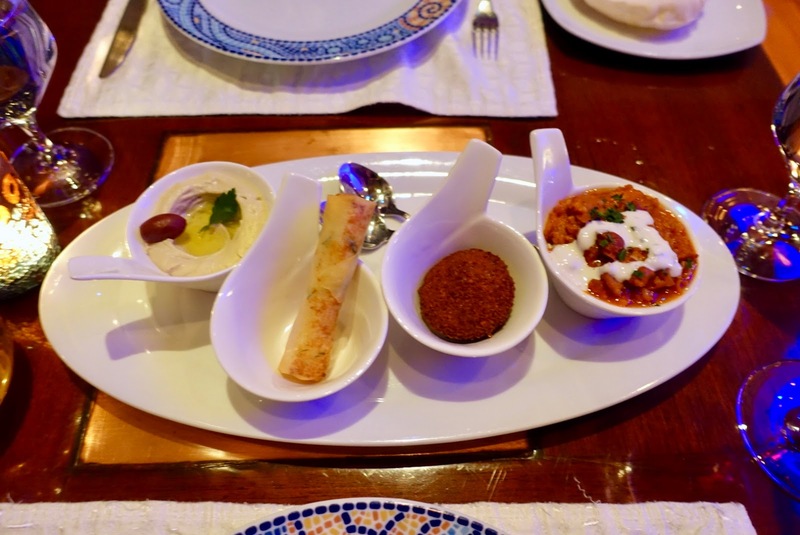 As I have just mentioned, we had dinner once at the Taj Mahal Palace and this in the restaurant Souk where we relished tasty Middle Eastern food in a stylish ambiance with great panoramic views. followed by a Lamb Tagine. 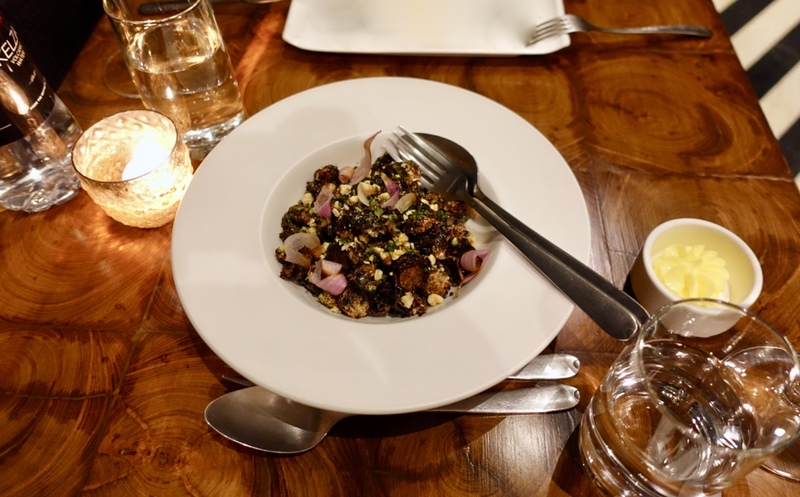 On our second day, we wanted to try out a favorite among the city’s trendy crowd and headed to the nearby restaurant The Table. 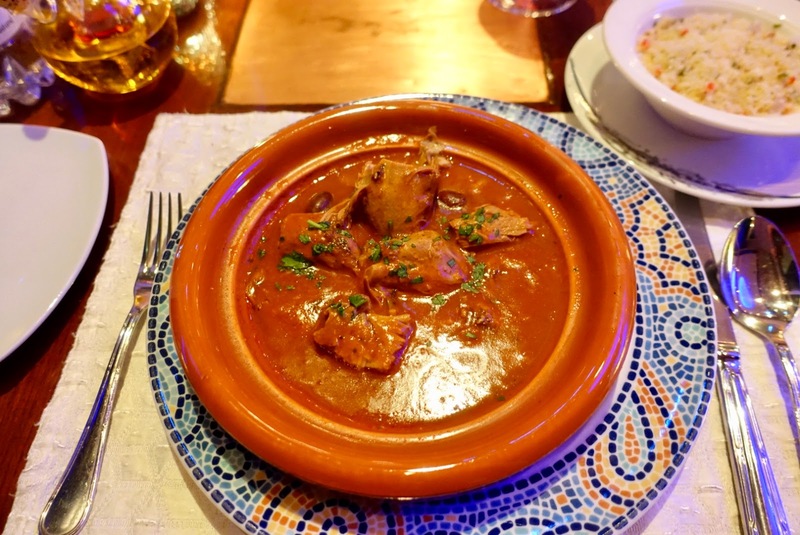 Here tapas-styled food inspired from all over the world is on offer using the finest available ingredients, which are locally sourced whenever possible. The varied menu changes often according to produce available. 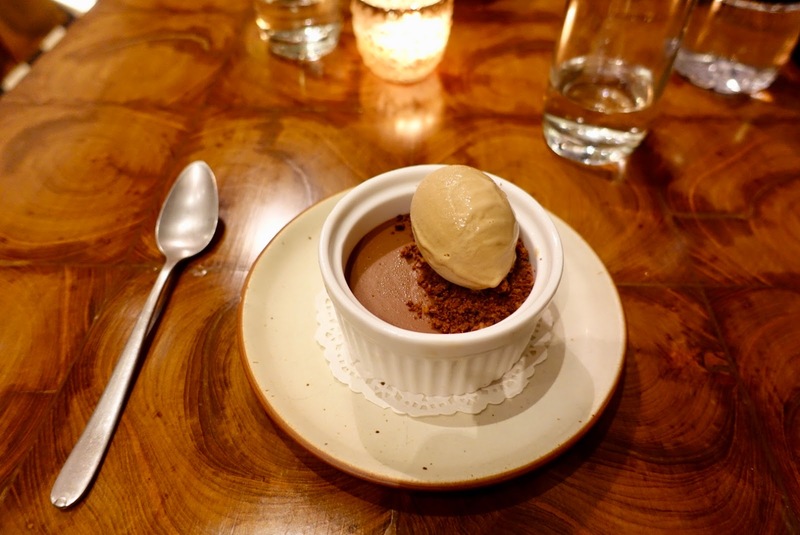 The varied menu is comprised of small and large plates that are intended to share. The chef is from San Francisco but is proficient in kitchens around the world. Each of the eight plates we had were immaculately prepared, nicely arranged and full of taste, but the pasta dishes were just phenomenal! 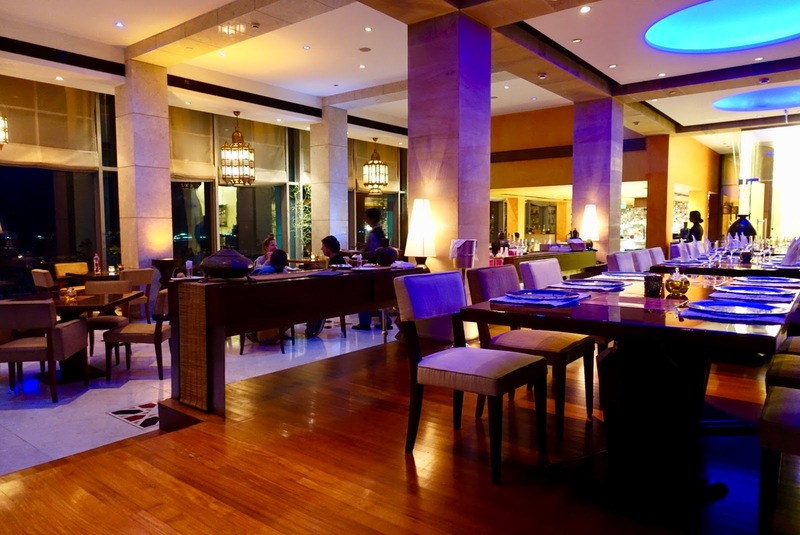 The restaurant is contemporarily styled taking a casual fine dining approach. 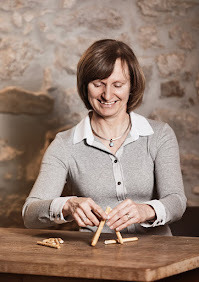 Staff is friendly and relaxed, we liked our experience here very much! 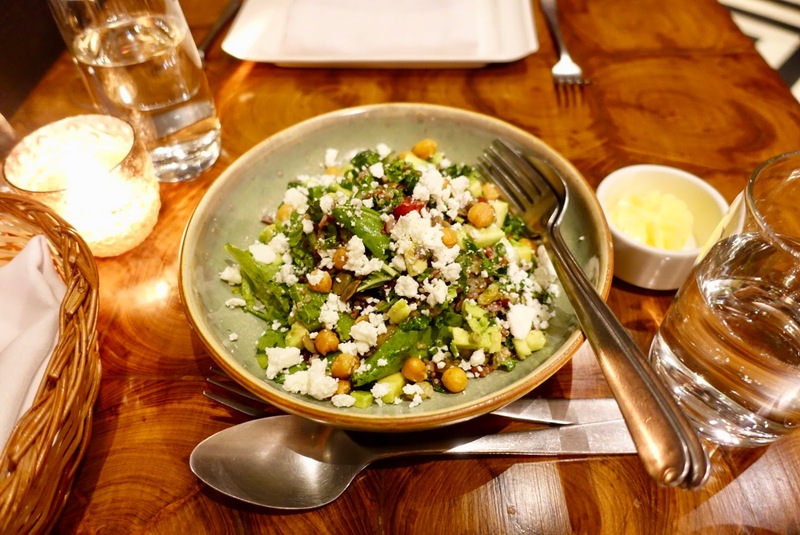 We started with The SOBO Salad, a delicious mix of Avocado, Grains & Greens, Chickpeas, Feta, Pumpkin Seeds and Mustard Vinaigrette. 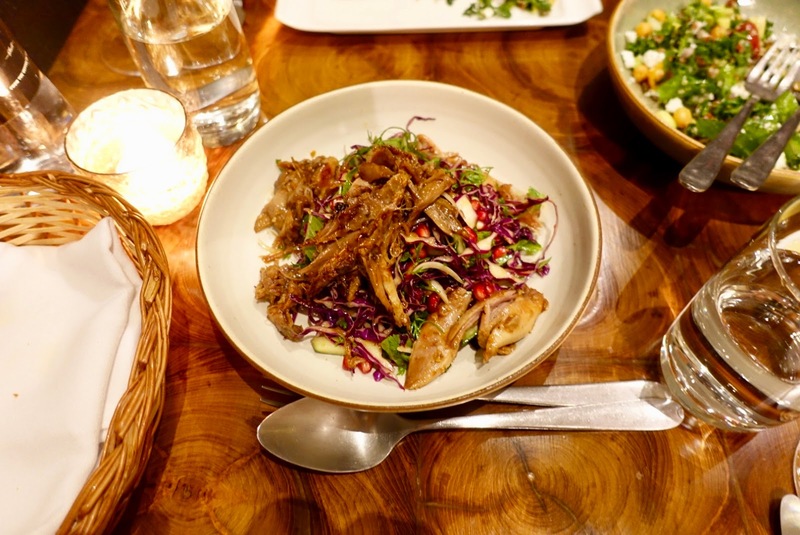 An inventive Asian influenced Duck Salad was next, French Duck combined with Hoisin Glaze, Herbs, Red Cabbage, Thai Chili & Pomegranate. Third on the list were Sweet & Sour Fried Brussel Sprouts accompanied with Balsamic Agrodolce (vinegar & sugar), Sauce Gribiche (mayonnaise-style cold egg sauce from France), Roasted Onions and Walnuts. 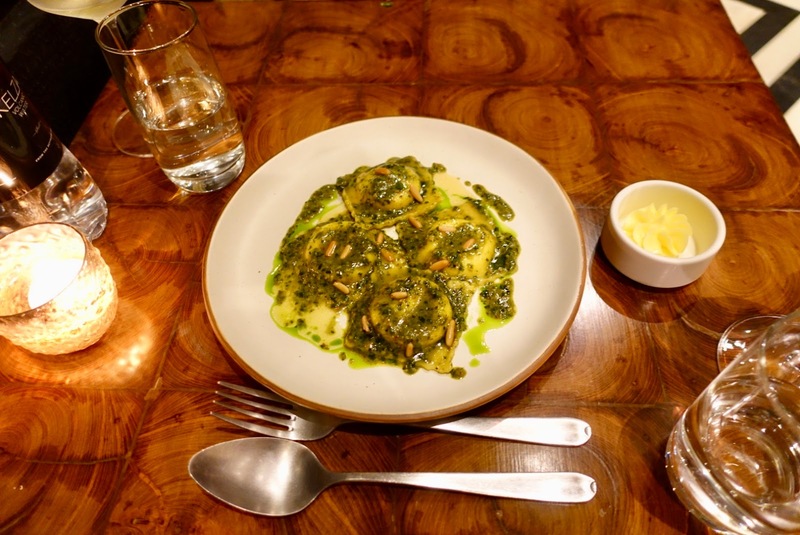 Then it was time for the first pasta dish, Burrata Ravioli with Table Farm Basil Pesto, Brown Butter Vinaigrette and Pine Nuts, what a delight! The meal was continued by Korean BBQ Beef Taos with Kimchi (the Korean national vegetable dish), Scallions, Mung Sprout and Horseradish Sauce. 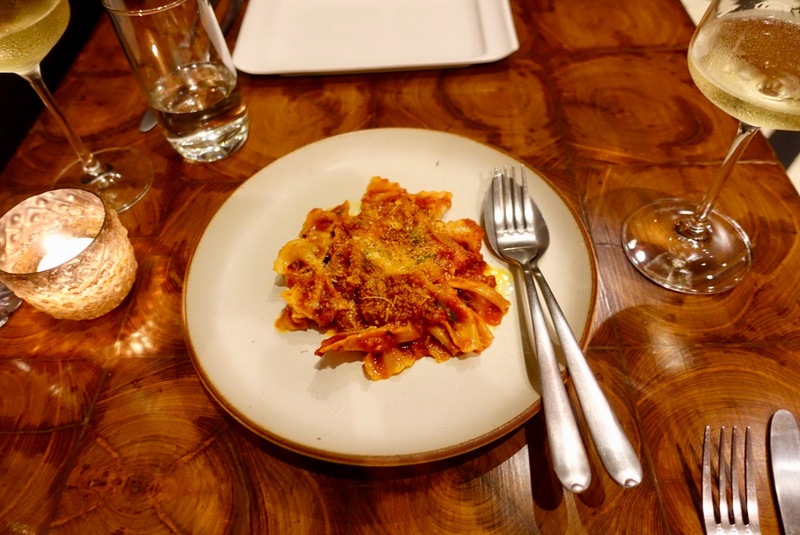 The last savory plate we ordered was the only large one we had – so far all were small ones –, another fabulous pasta dish, this time an Italian classic, Farfalle Amatriciana, Hand-Made Pasta with Guanciale (cured pork from pig’s cheeks), Peperoncino, Tomato and Pecorino. 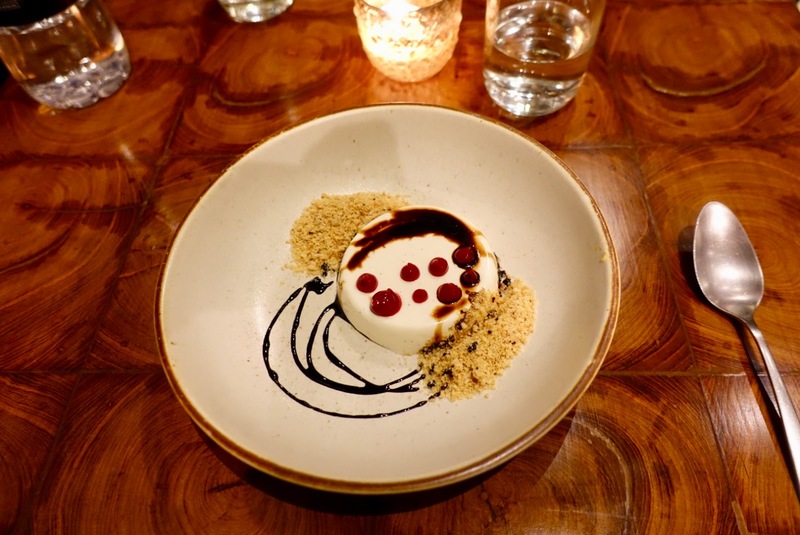 as well as a Kerala Vanilla Panna Cotta with Raspberry Gelée, Balsamic Reduction and Vanilla Crumble. 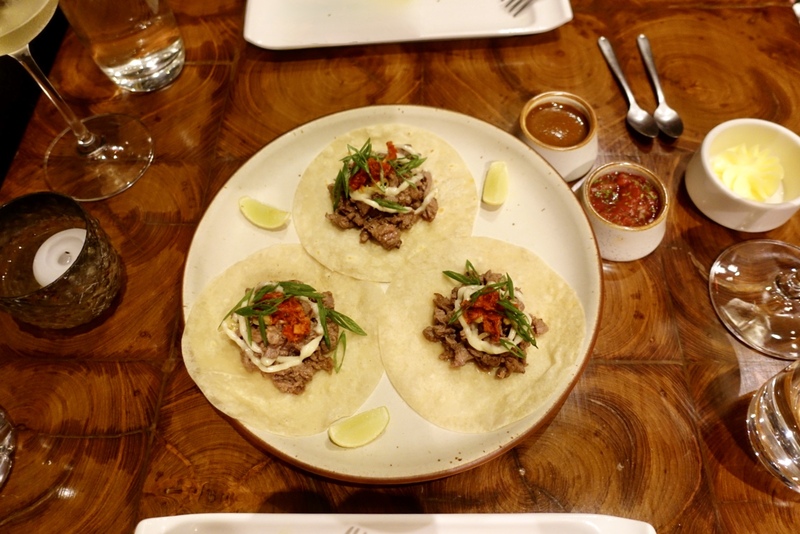 If you like a somewhat eclectic approach, food infused from almost each corner of the globe, generating a diverse and enthralling experience, this is a must do for you! We were glad that we made it back to Mumbai after we had gotten a quick glimpse of it more than twenty years ago. 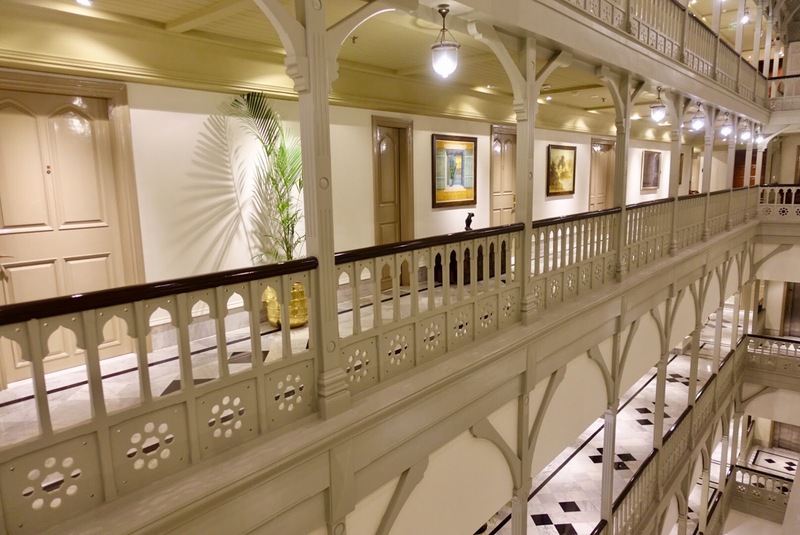 It is such a vibrant place and boasts with some of the best colonial-era architecture we have ever seen! 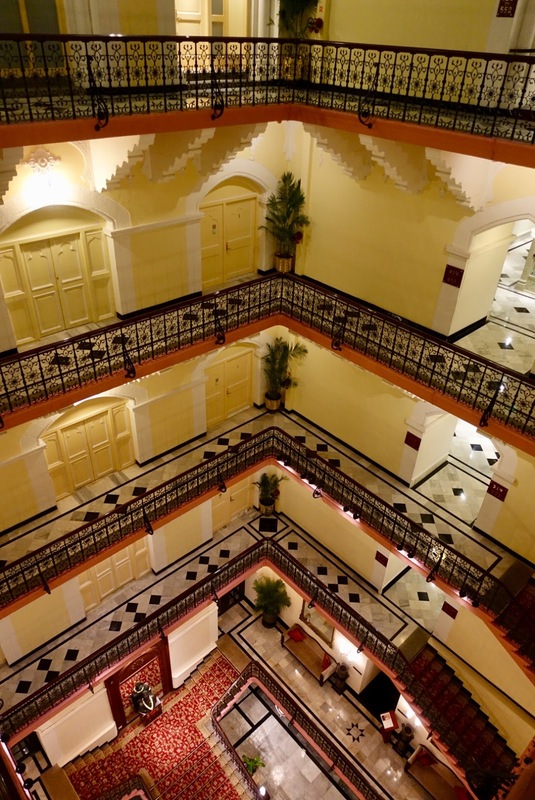 When doing a Rajasthan trip (itinerary/stay&dine) and having two more days to spend in the country, I would suggest that you fly into Delhi and fly out from Mumbai. In such a way, you will get to know two bustling Indian cities which are quite different from each other but both with their specific charm.